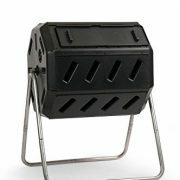 Made of 90-percent nylon and 10-percent polyester and machine washable with added flexibility for gardening, planting, and weeding the heavy duty black Atlas Fit 370 gloves come Included with (72) Universal Black Small Nitrile Garden Work Gloves. 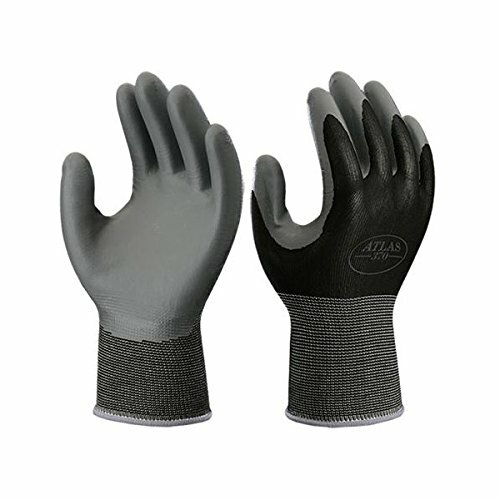 Each Atlas Fit 370 Garden Work Glove is made of lightweight nylon knit and a double-dipped nitrile palm for improved user feel and comfort. 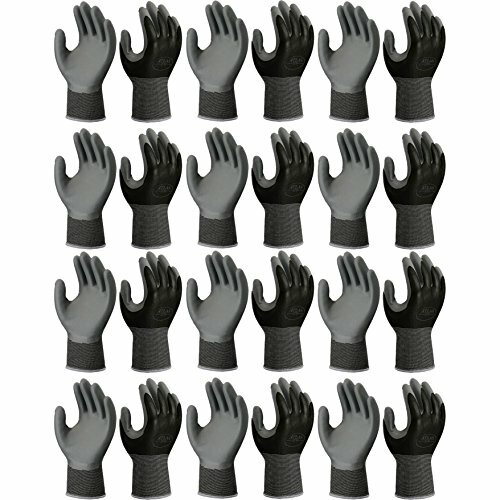 Includes (72) Small Atlas Fit 370 Work Gardening Gloves.